Body treatments are essentially a facial for your whole body and leave your skin feeling velvety smooth and soft. The idea behind a body treatment is that it’s just as important to cleanse, exfoliate, and hydrate the skin on your body as it is the skin of your face. A body wrap often takes place after the scrub. After you rinse off the salt or sugar, you return to the treatment table. We slather you with a detox mud and wrap you in a thermal blanket. It’s a detoxifying treatment that stimulates your metabolic system, speeding its ability to carry away waste products. If the product is cream or lotion, it’s a hydrating treatment. We offer a 90 Minute Hydrating Body Treatment which is an exfoliation followed by a self-warming hydrating body treatment gently brushed on to your skin. After which you are wrapped in layers of sheets and blankets to encourage the body’s pores to open so the product can work its magic. All this is then followed by applying a generous layer luxurious hydrating lotion to leave skin feeling smooth and refreshed. 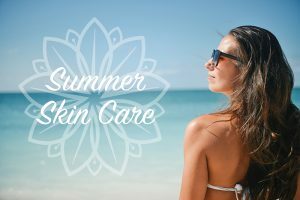 We also offer a skin brightening 30 Minute Full Body Sugar Scrub Exfoliation with our rose sugar scrub followed by hydrating the skin with avocado oil mixed with our anti-cellulite aromatherapy blend. All of our body treatments begin with a skin analysis, personal consultation and are customized to your skin type and needs. Curious about Body Treatments? Read our articles!